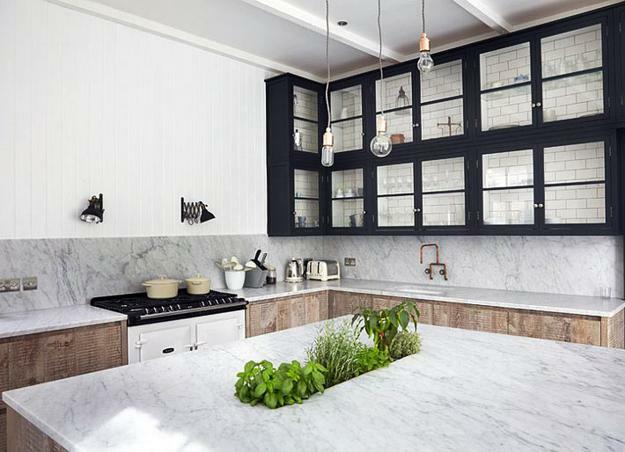 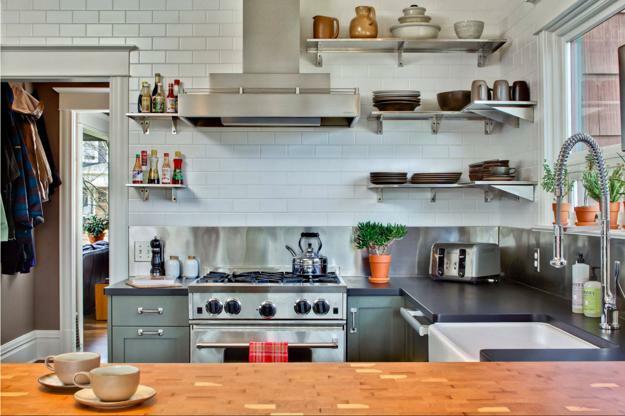 Open kitchen shelves are one of the modern interior trends. 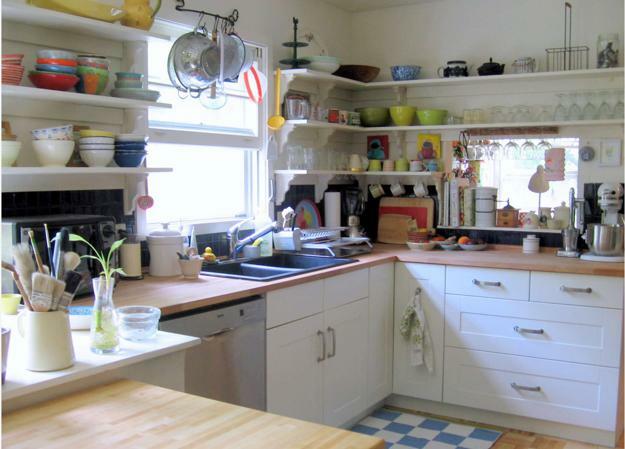 Decorating kitchens with corner shelves is inexpensive and stylish. 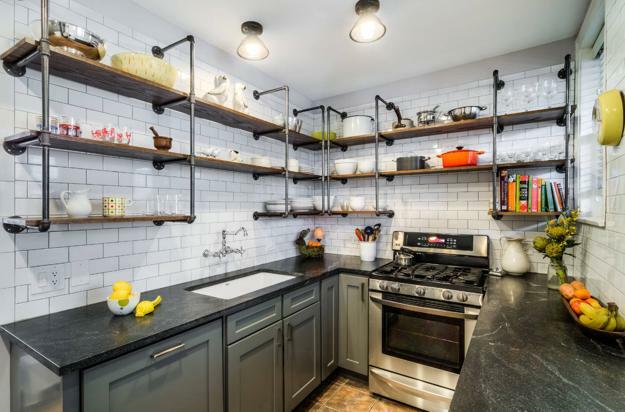 Open corner shelves cost less than cabinets, improve kitchen storage and provide surfaces for creating attractive displays. 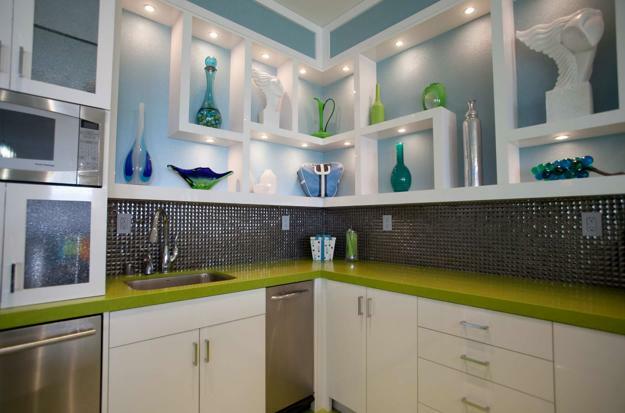 Wall shelves make a huge difference in modern interiors, changing the mood in the spaces. 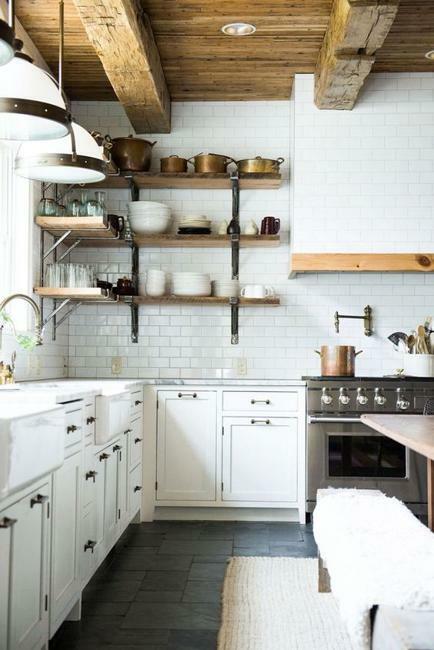 Wall shelves make kitchen designs feel friendly, light and inviting. 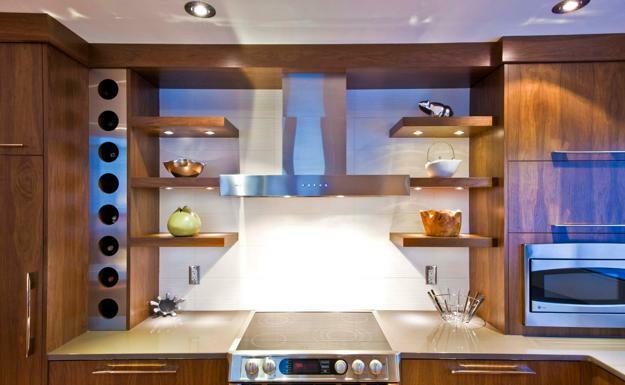 Wood, metal, glass corner shelves enrich kitchen designs, blending more texture into modern interiors. 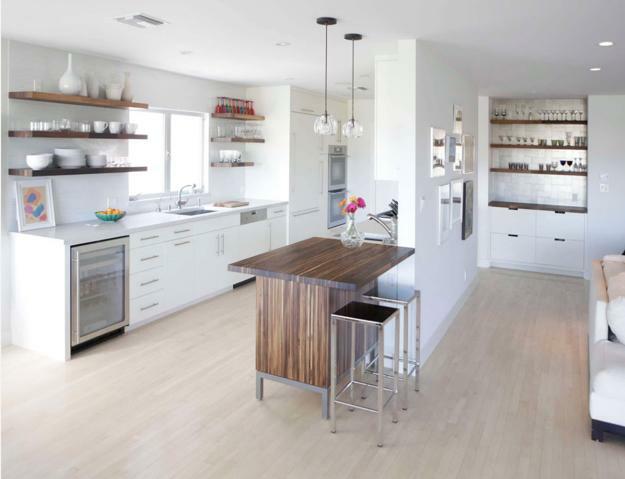 At the same time, versatile and contemporary open corner shelves are cheap ideas for changing the look. 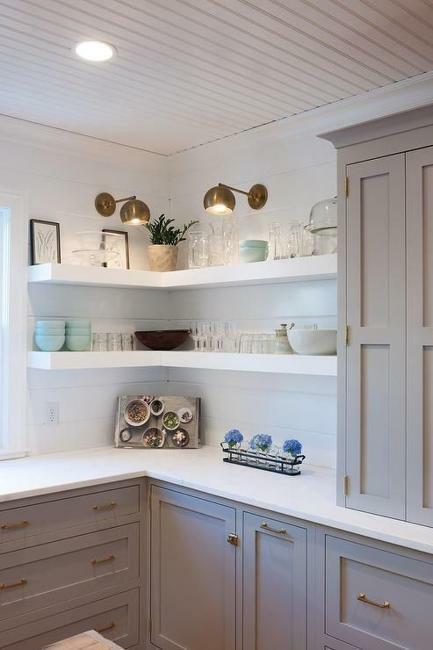 Interiors with wall shelves displaying decorative accessories or storing functional items look complete, informal, and contemporary. 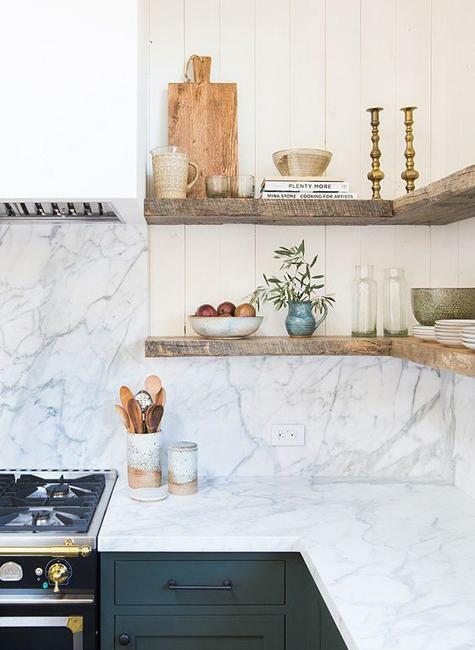 The technique of decorating walls with shelves is easy. 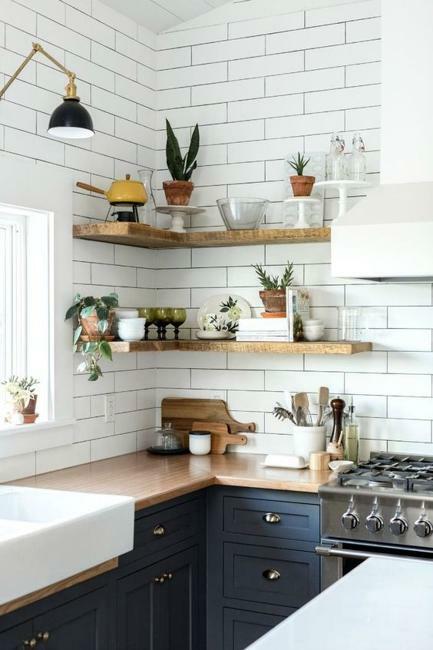 Designers like to add original shelving accents to empty walls, but also DIY wall shelves work well turning dark corners into bright and modern kitchen decorations. 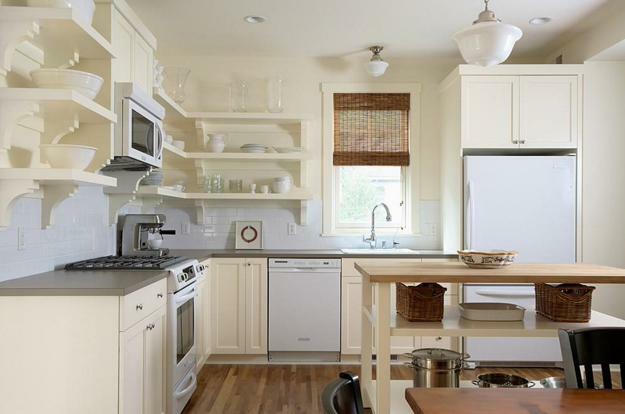 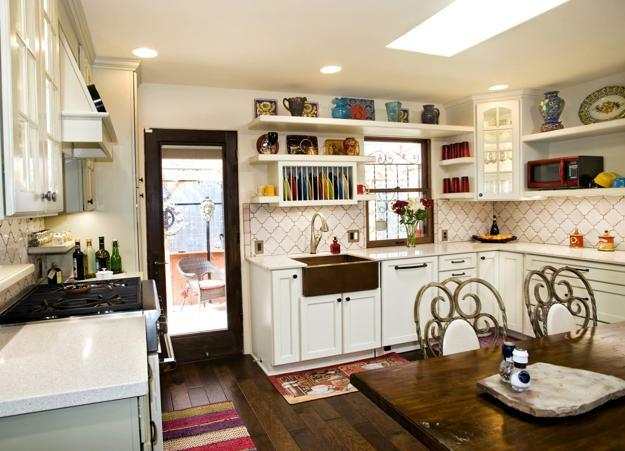 Small kitchen designs benefit from corner shelves which stretch small spaces visually. 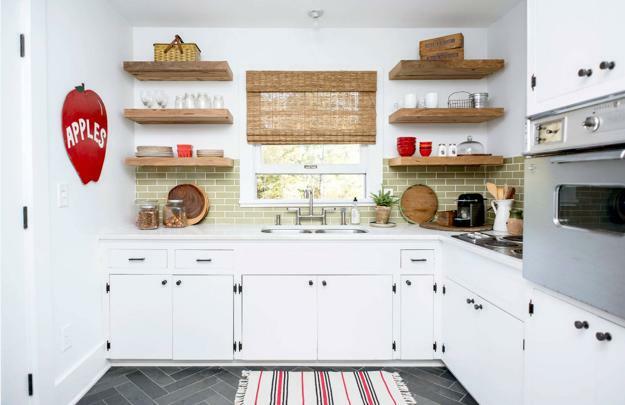 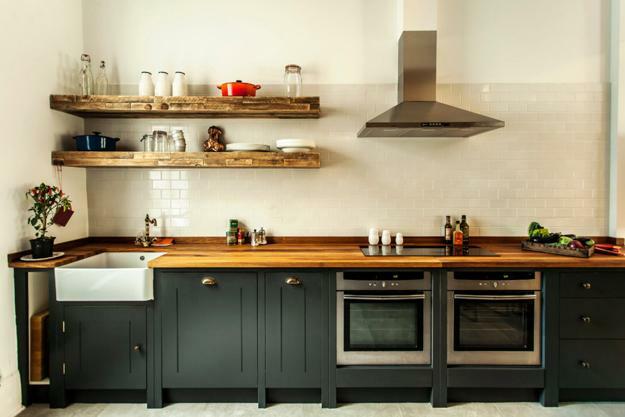 Wall shelving designs allow storing more items and display beautiful tableware while mixing practicality and simplicity with a stylish look and an airy feel in modern kitchens. 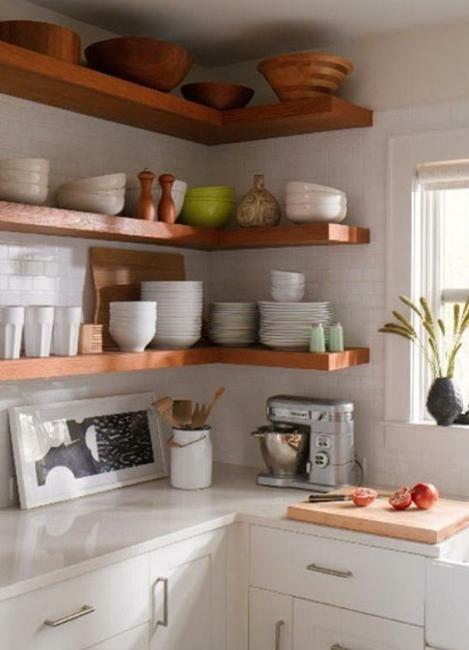 Open corner shelves are ideal for small kitchens. 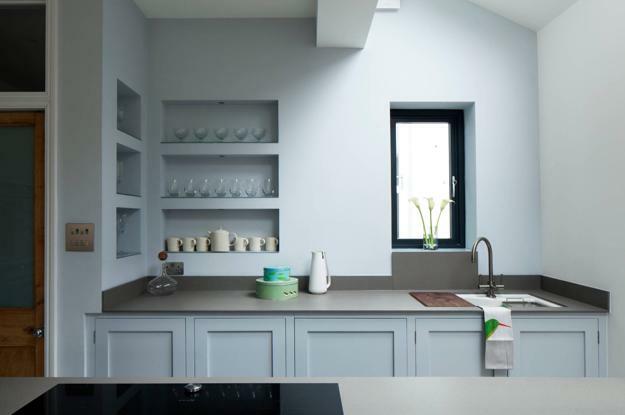 Wall shelves are the perfect solution, suitable for all kitchen design styles. 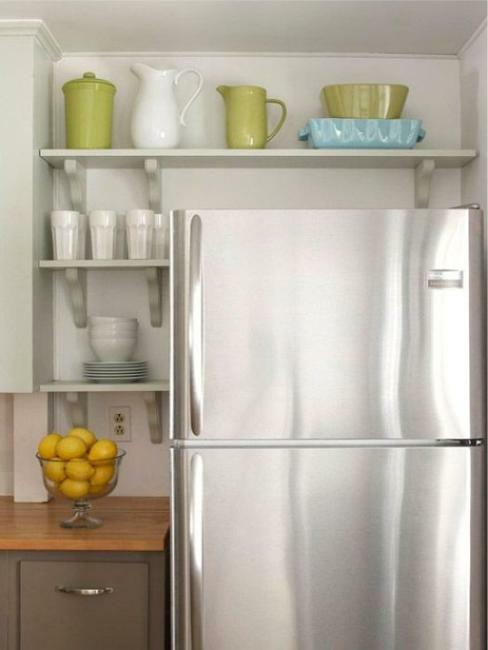 Corner shelves are excellent, cheap ideas for remodeling projects on small budgets. 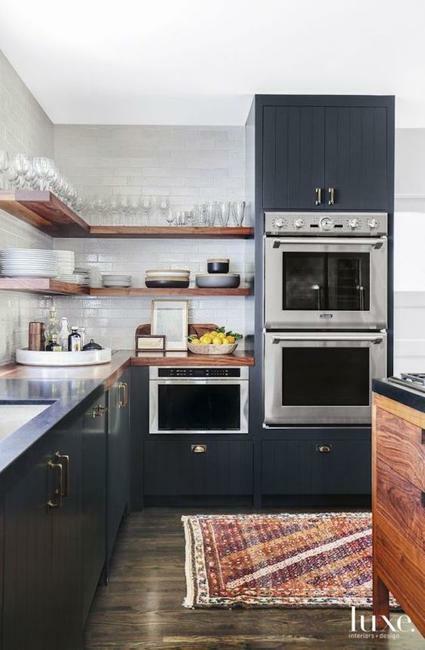 A cook saves time on looking for items. 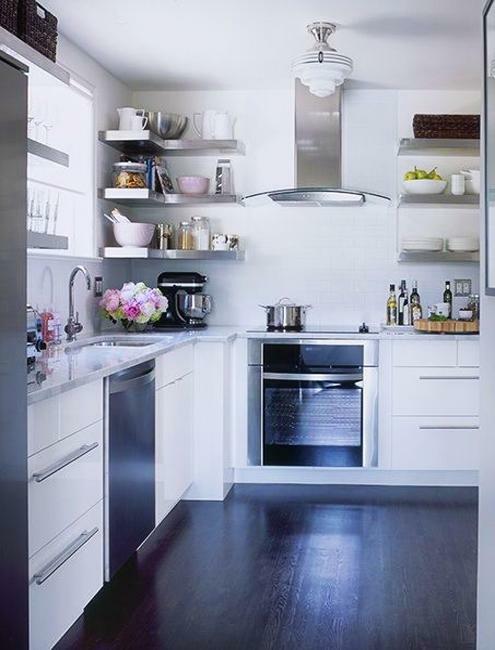 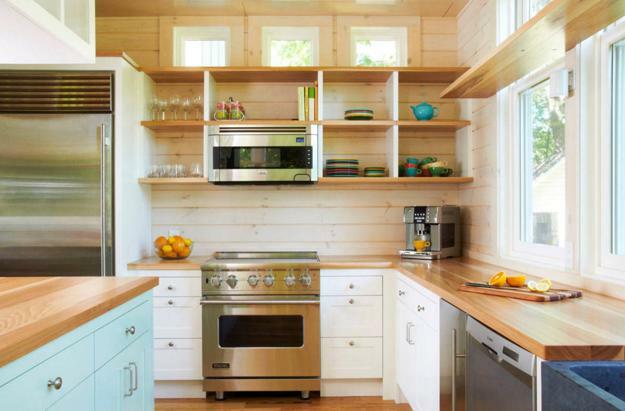 Open shelves increase kitchen storage spaces. 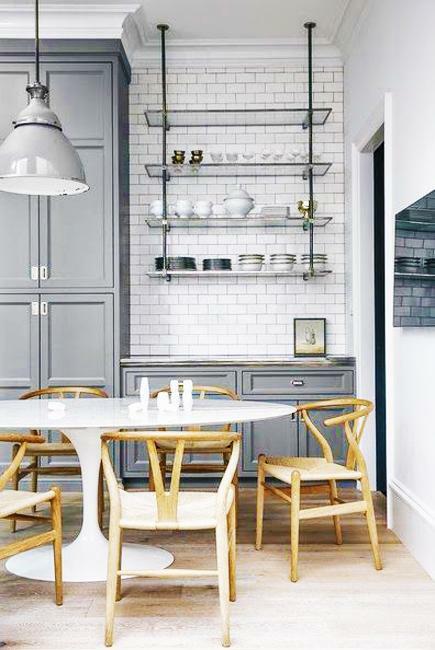 Wall shelves are versatile and elegant. 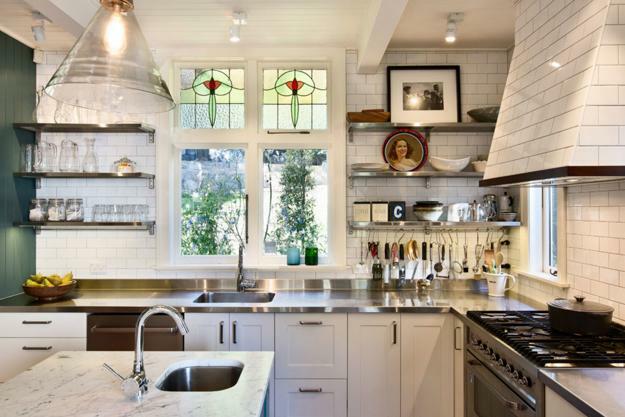 Open shelves create beautiful accents and enhance the effect of welcoming, contemporary, and friendly kitchen design. 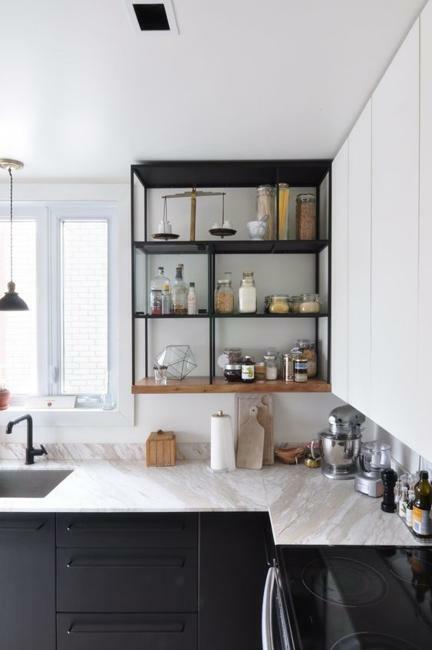 Open corner shelves allow creating various combinations which personalize kitchen designs and add unique details to the walls. 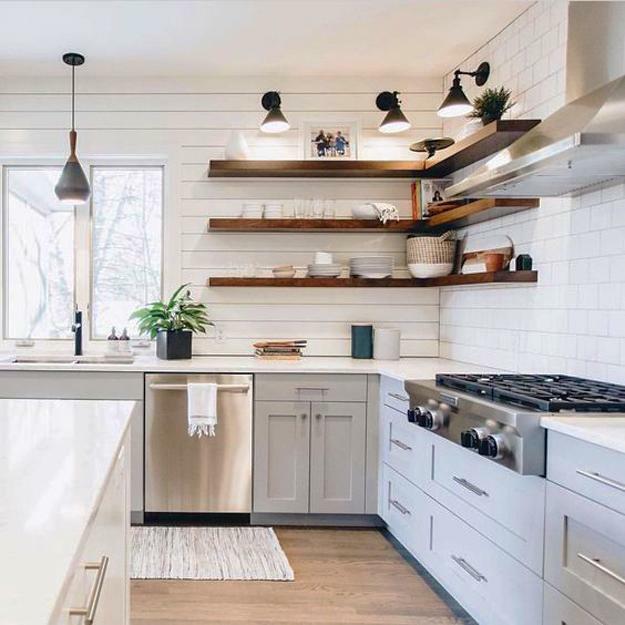 Corner shelves make beautiful decorations, harmonize the small spaces, and bring balance into simplified, functional kitchen interiors.